This combination of berries, juice, wine, and yogurt is served cold for a delicious summertime dessert. 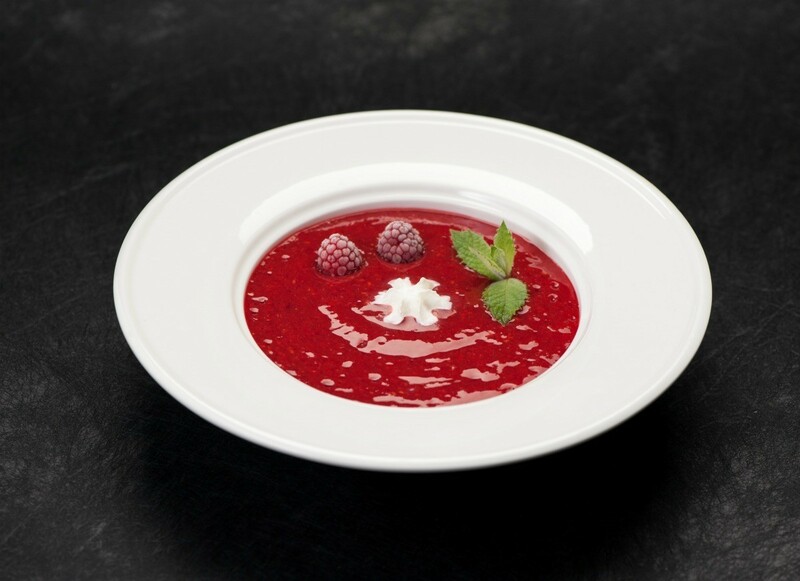 This page contains a raspberry soup recipe. Cool and refreshing. Nice for any time of day. In a blender, puree raspberries, water, and wine if desired. Transfer to a large saucepan; add the cran-raspberry juice, sugar, and cinnamon. Bring just to a boil over medium heat. Remove from the heat; strain and allow to cool. Whisk in lemon juice and yogurt. Refrigerate. To serve, pour into small bowls and top with a dollop of sour cream.